I finally did it. It took a bit longer than anticipated, but T is FINALLY of the bottle! I know you are asking, “how did she do it”? He was obsessed with his bottle! Well, thanks to numerous tries with a number of different sippy cups, I finally found the one. Thanks to Playtex! 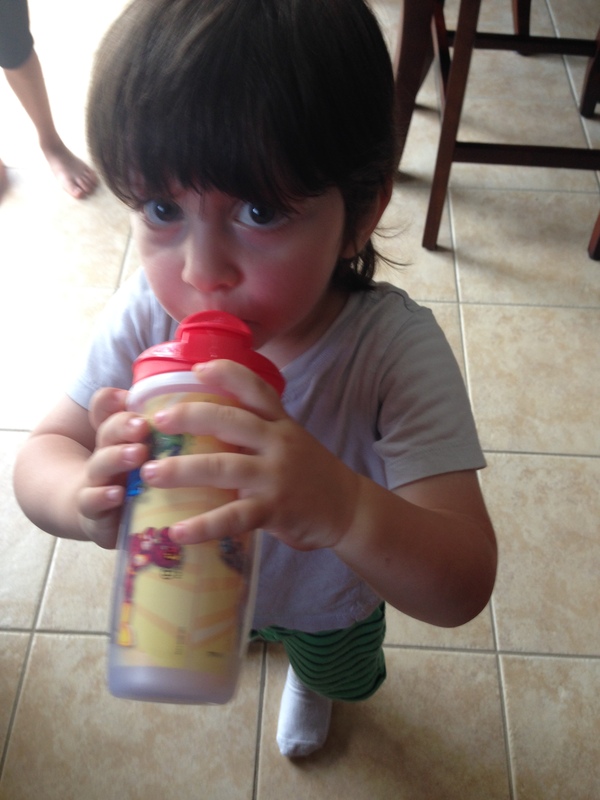 When Z dropped his bottle it was because I found a cup that he could have fun with. He was super into Cars so I got him a Cars cup. T loves superheroes. Especially Batman. When Playtex asked if I wanted to try their new line up of of unique DC Super Friends cups, I couldn’t turn away. As soon as he saw the Batman and Robin theme, he was hooked! As was his older brother! 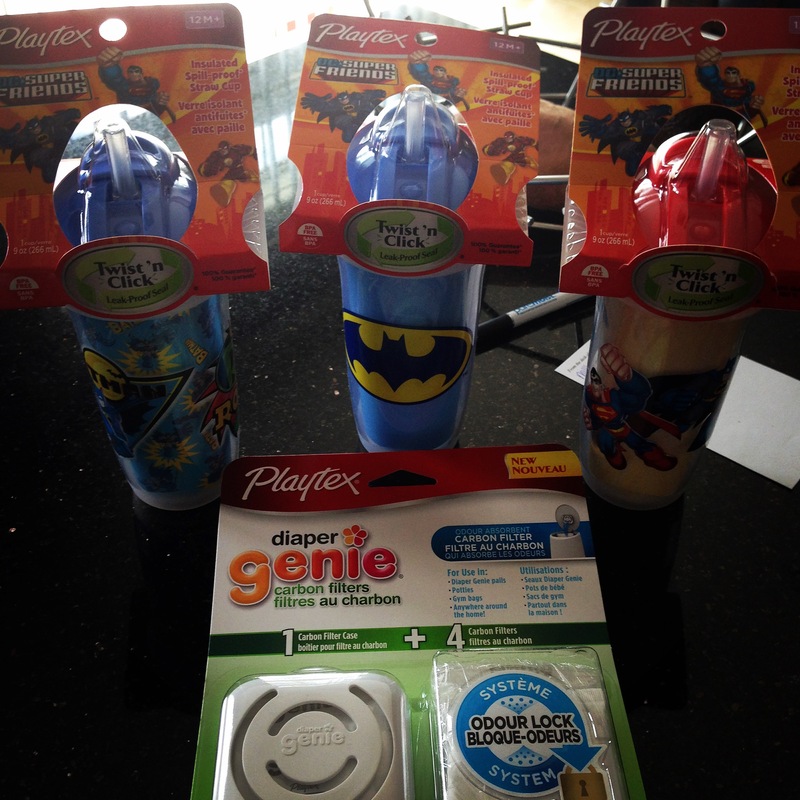 The Playtex® PlayTime™ cups are now available in four unique designs featuring Batman, Robin, My Little Pony and Thomas the Tank Engine. And whats also amazing about these insulated cups, is they have enhanced Twist ‘n Click™ technology and are guaranteed 100% leak and break proof. 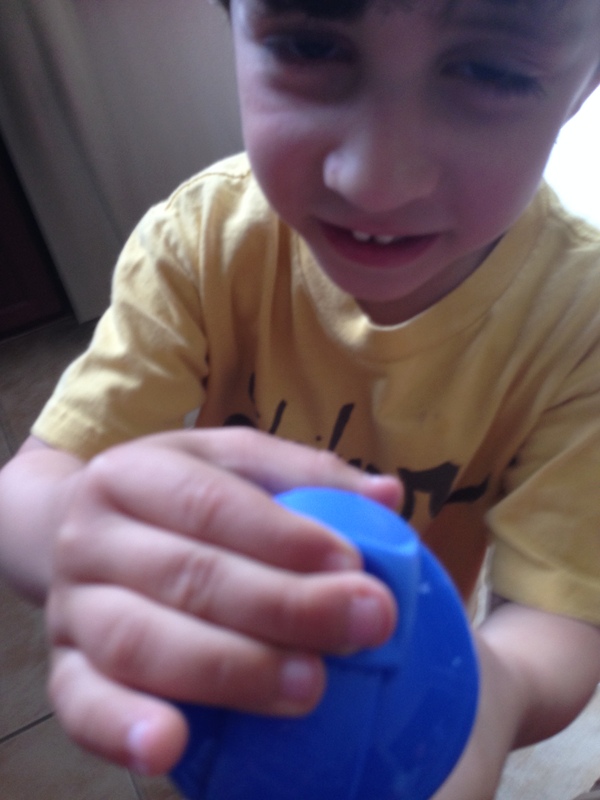 Trust me on that…T is 2.5 and one of his favourite things to do (much to my dismay) is throw! They are super easy to clean, open and close. 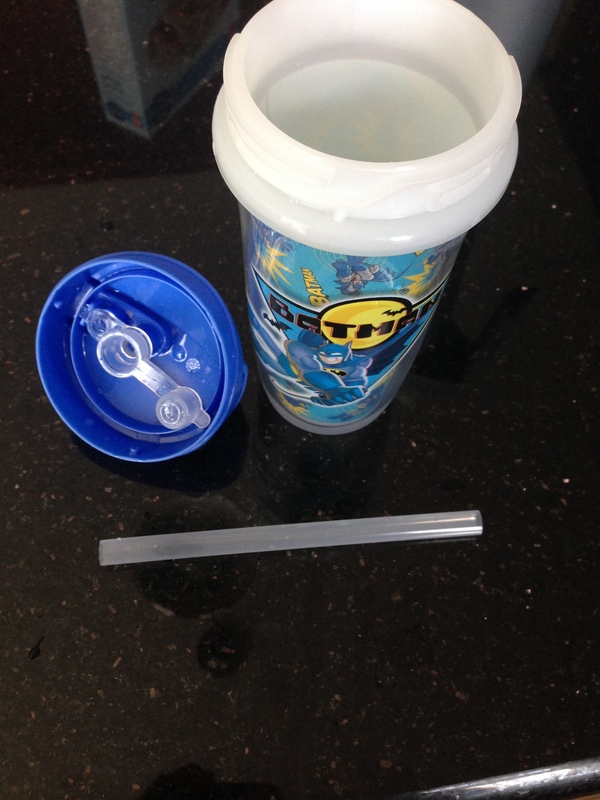 The lid has a cover for the straw that is also easy for the little guys to use. (The cup is also available in spout format). They are BPA free and dishwasher friendly. My kids couldn’t be happier using these cups and I know yours will love them too. You can find them at all major retailers across Canada for a cost of $7.99. 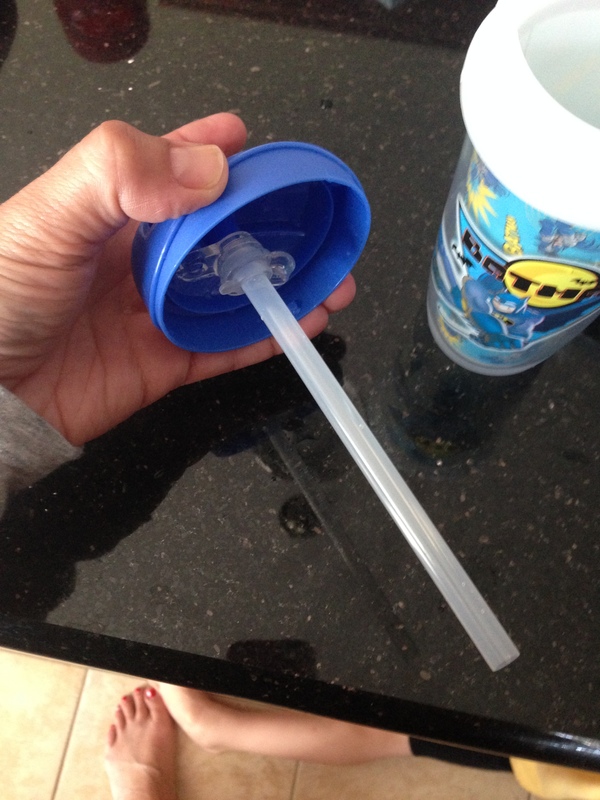 So while the Playtex cups makes my kids happy…want to know what makes mom happy? Not having to smell diapers! T is still in diapers though we are now working on getting him toilet trained. But as all parents know, those diapers can cause quite the stink! Playtex has the answer yet again! 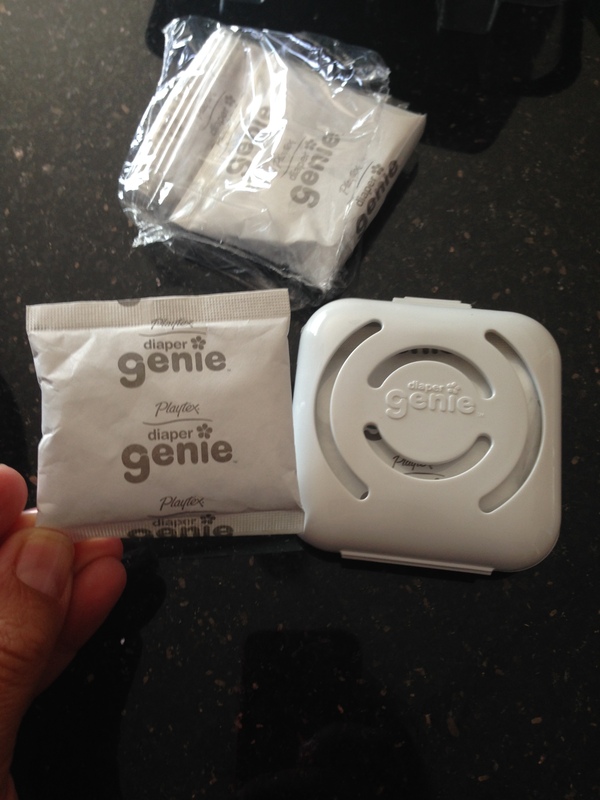 Playtex® has introduced the Diaper Genie® Activated Carbon Filter. 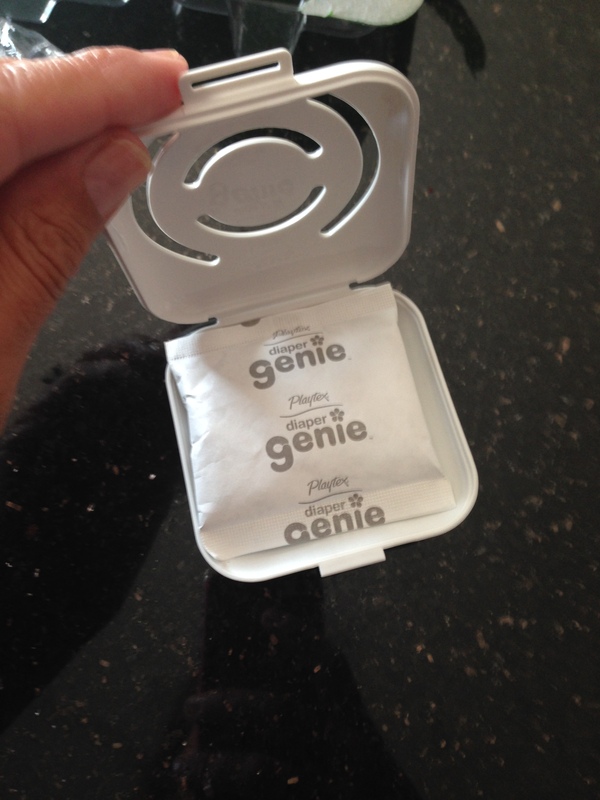 This carbon odour-lock insert is activated every time you open your Diaper Genie® and helps to absorb especially strong odours. 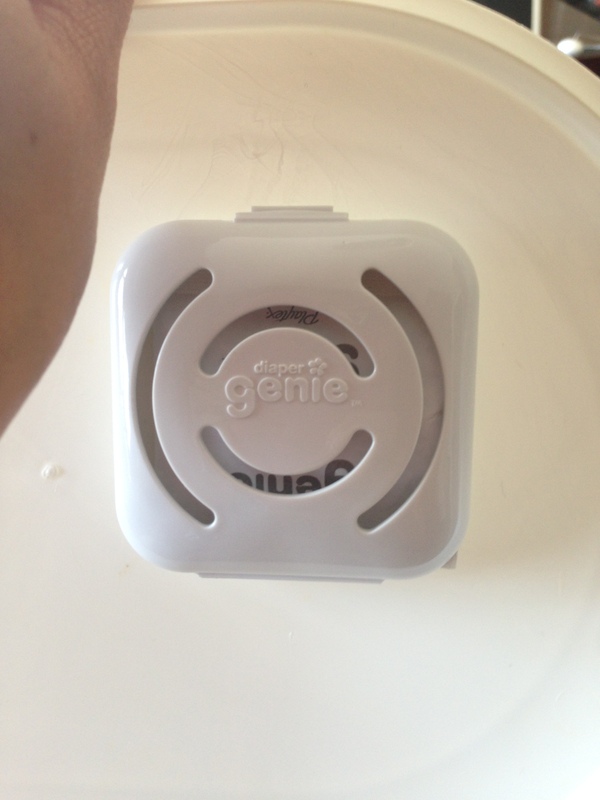 It easily attaches to the lid of your Diaper Genie® leaving your babies room and home smelling fresh. Easy to assemble and attach too in just 4 easy steps! Easy peasy!! Trust me on this one too. Huge difference when I open the pail, HUGE!! The Playtex® Diaper Genie® Carbon Filter is available in the Diaper Genie® Elite pail and also sold separately at all major retailers across Canada for a suggested retail price of $5.99 for a 4-pack. Playtex has so many amazing products for kids of all ages. What are you waiting for? Get shopping!! 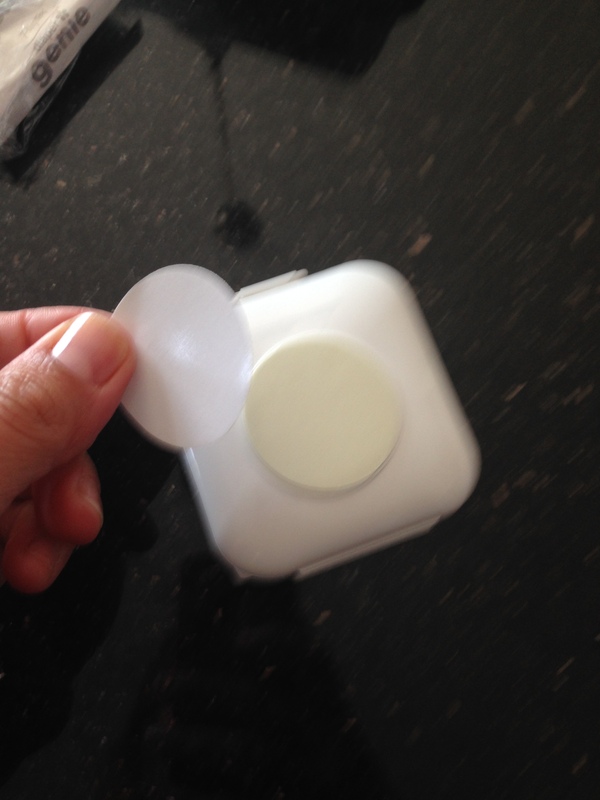 *Disclaimer* – I received these products with my affiliation with the company. The opinions stated on this blog are my own. Oh I remember these days! Glad you found something that you all like. Thanks Jacklin! I will check it out!